Malware in this family consists of DarkComet, a program designed for remotely controlling or administering a victim computer. 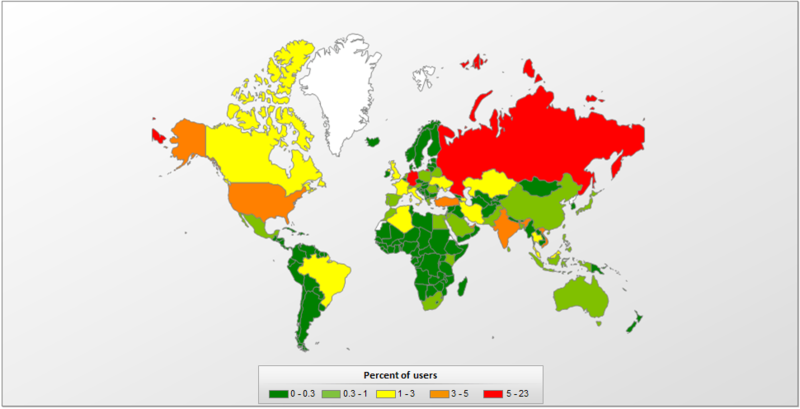 The connection parameters are encrypted in the program’s executable class=”most_attacked_countries”. Obtaining information about the infected computer. Obtaining a list of windows. Modifying files via the built-in file manager. Capturing video and audio from a webcam or microphone. Saving keystrokes to a file (keystroke information is not encrypted and is stored in the folder %APPDATA%dclogs in files with the name format YY-MM-DD.dc). Acting as a SOCKS proxy server. Redirecting IP addresses and ports. Shutting off and restarting the operating system. Downloading, sending, and running files. Sending keystroke logs to a remote FTP server.